Kuch Kuch 'Locha' Hai? 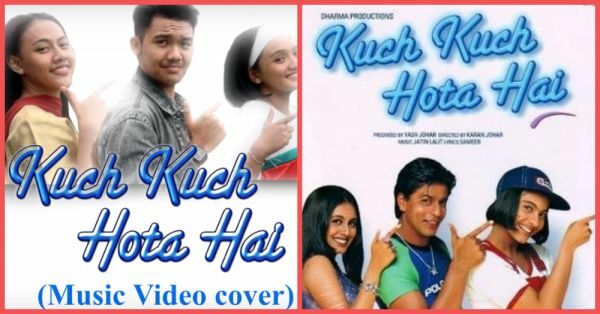 Indonesian Fans Recreate KKHH Title Track & It's A Hit With Fans! Karan Johar's directorial debut Kuch Kuch Hota Hai has evolved into a cult classic. Although the movie did have its fuckboy episodes that we discovered as adults, there were a few moments that have stayed with us till date. From Anjali's haircut to Rahul's cool GAP hoodies, the six-year-old me was obsessed with all the characters. Twenty years later, the movie still continues to work its magic. The romance movie has been celebrated by fans numerous times over the years. But recently, the love for the movie came pouring from a non-desi source. 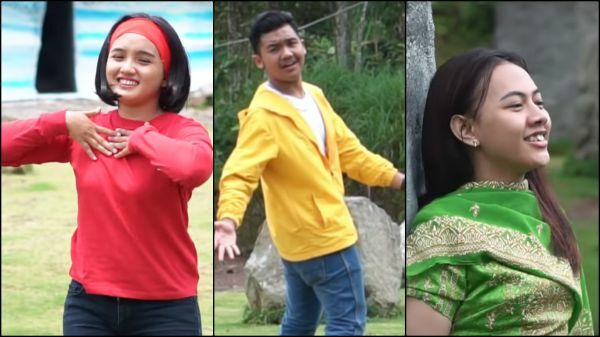 Three Indonesian fans recreated Tum Paas Aaye, the title track of the movie, which captures the sizzling chemistry between Shah Rukh Khan, Rani Mukerji and Kajol. The new Rahul-Anjali-Tina trio did a scene-by-scene recreation of the entire song that has already clocked over three million views on YouTube. All the hook steps from the movie are on point. From the dupatta flying to the toot ta tara moment, they've shot the song with the same outfits and location. And we're loving it. The clip garnered a lot of attention on the microblogging site, and while most found it hysterical, others thought the parody gave couple goals and wanted to recreate the same for their pre-wedding shoot. Some even found it better than the original! We are digging the remake of the classic song. What do you think?